WASHINGTON At a time when health care reform and Russia investigations are sucking all the oxygen out of Congress, two senators a Republican and a Democrat filed into a small press gallery on Thursday to try and shine a spotlight on another pressing matter: war. Sens. Jeff Flake (R-Ariz.) and Tim Kaine (D-Va.) introduced a new Authorization for the Use of Military Force against the Islamic State, al Qaeda and the Taliban. It would give Congress new oversight over military action against those groups and over the countries in which U.S. bombings can take place. It would also repeal old AUMFs still in effect. The senators paired up on a similar bill in 2015, and it went nowhere. Theres no clear indication that this latest incarnation will have success, either. Yet, the two senators insisted that times are different. Flake enthusiastically said the Senate Foreign Relations Committee could take up their bill soon after the Memorial Day break. Kaine said he expects, now that theyve filed a bill, that Trump administration officials may start working with them on the specifics of a new AUMF. A White House spokeswoman did not immediately respond to a request for comment. Their problem isnt that they lack ambition, or are making a weak case. After all, many lawmakers dont like that the White House currently can use a sweeping 2001 AUMF to justify military action against al Qaeda or ISIS anywhere, anytime, without congressional oversight. Their problem is, outside of a motley crew of rank-and-file lawmakers, nobody particularly cares. Flake and Kaine unveiled their bill to a room of a dozen or so reporters, and as many empty seats. Their 2015 AUMF bill never got a Senate committee hearing, never mind a floor debate or vote. Similar AUMF proposals in the House havent gone anywhere, either. The two senators said they told their respective party leaders about their latest plan to push the AUMF issue again, and said neither had much of a reaction. Hes not opposed to it or in favor it, Flake said of Senate Majority Leader Mitch McConnell (R-Ky.). He knows its an obsession of mine, Kaine said of Senate Minority Leader Chuck Schumer (D-N.Y.). His attitude is well see what comes out of committee. McConnell spokesman Don Stewart didnt say how McConnell feels generally about the need for an AUMF debate. 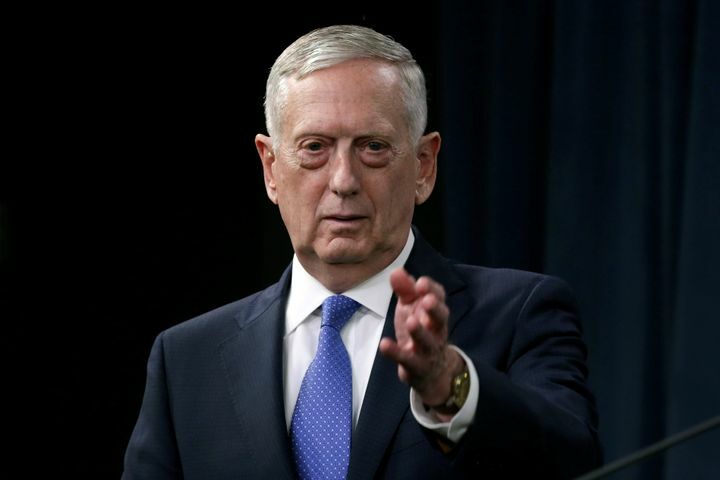 But he noted the administration is in the middle of reviewing its strategy for fighting ISIS, and once thats done, President Donald Trump may need additional authorities to carry out his mission. One could envision, in that scenario, that theyd ask for an AUMF that supported the strategy, said Stewart. But as that hasnt happened yet, I dont have any guidance on what the review will yield. A Schumer aide did not immediately respond to a request for comment. Defense Secretary James Mattis has said he supports Congress passing a new war authorization for ISIS. But then again, so did President Barack Obama’s defense secretary, and it never happened. The Constitution says that its the role of Congress to declare wars, and that the president has to get lawmakers approval for any sustained military action. But Congress ceded some of its power in 2001, when it hastily passed the broad AUMF allowing President George W. Bush to attack anyone connected to al Qaeda, anywhere, at any time. That AUMF never expired, and President Barack Obama stretched its limits to argue he could unilaterally take military action against the Islamic State, too, since the terror group is an offshoot of al Qaeda. Today, that means Trump can use a 16-year-old war authorization to bomb people anywhere, at any time, without Congress signing off, so long as he can make the case that Islamic State or al Qaeda targets are there. That makes some lawmakers uneasy. But for all their discomfort with how the 2001 AUMF is being used, most are simply afraid to take a war vote one that would shape the duration, scope or troop levels in forthcoming military actions that could come back to haunt them. Kaine and Flake are holding out hope that responsibility will prevail over cowardice in Congress. They wont concede that this is a fruitless task. Why do I have hope … began Kaine, relaying a story about his multiple failed attempts as a Richmond City Council member to move city elections from May to November. It took me seven years, and now we have November elections, he said. I dont give up easy. Flake rattled off his own reasons for optimism. More than half the members of Congress are new since their previous AUMF, he explained, which means fresh votes to recruit. Theres a new administration in the White House. And the new defense secretary has signaled support for a new AUMF. (Then again, so did the last one). I believe they will want it because it strengthens their hand as they enter negotiations, or just diplomacy, Flake said of the Trump administration. We think that this bipartisan language does a good job. But didnt his last AUMF bill have good language, too? This is better, Flake said.